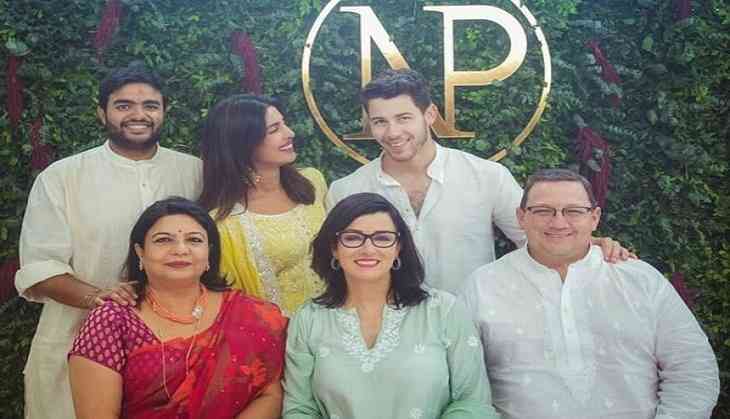 Bollywood diva Priyanka Chopra's mother praised American singer Nick Jonas for being a wonderful and a mature person. This comes after Nick and Priyanka made their relationship official with a roka ceremony in Mumbai earlier this month. E! Online reported that Priyanka's mother, Madhu Chopra, praised him for being calm and mature, and further added these are the two reasons why everyone loves him. Continuing her praise for the singer, she said she loves him for the fact that he was even polite and respectful towards elders. She even appreciated her daughter for wisely choosing Nick Jonas as her life partner. The couple was recently under the spotlight as the Chopra family hosted their 'Roka' ceremony at their residence last week, which was attended by Priyanka and Nick's close relatives. Following the 'roka', a party was hosted by Priyanka's family for near and dear ones.